If you live in St. Paul, MN, or anywhere else in the Twin Cities region and have always wanted a finished basement, realizing that dream is as simple as contacting U.S. Patio Systems and Home Remodeling. 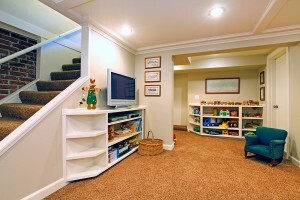 We are a full-service basement finishing company that specializes in the creation of custom basements utilizing high-quality building products and professional basement finishing practices. Unlike some companies that do little more than install prefabricated basement wall panels, U.S. Patio Systems and Home Remodeling will build you a finished basement essentially from scratch, our goal being to create a basement that both looks and functions like a natural extension of your home. For more information, please contact U.S. Patio Systems and Home Remodeling. We will be pleased to discuss with you during a complimentary in-home consultation how we can provide you the finished basement that you have always dreamed of owning in St Paul, MN.